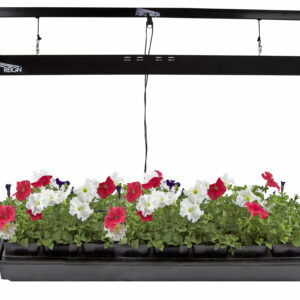 OPTIMAL LIGHTING FOR GROWS: Achieve bountiful grows with Apollo Horticulture's LED Grow Light Bulbs, which produce a purple light to increase photosynthesis. 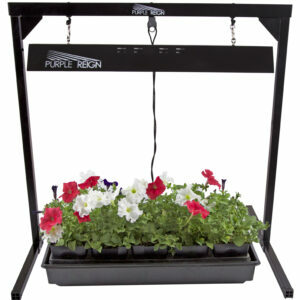 Purple light is high in energy and combines ideal red and blue full light spectrums to boost growth and promote healthier blooms. PLUG AND PLAY: Fits standard E27 sockets for easy installation, no special hardware necessary. Simply screw the bulb in like you would any other light bulb and you're ready to grow. Great for use in your grow room, grow tent, greenhouse, or any growing space..
TENERGY EFFICIENT: LED bulbs boast durability, quick lighting, consistent output, lower energy consumption and a longer lifespan. CLASSIC A19 SHAPE: Discreet design makes your LED grow light bulb look like regular incandescent bulbs in your home. The universal sizing makes it suitable to fit many standard home light fixtures. Welcome to Purple Reign, where we believe that growers and their plants are all truly unique. We continually work to produce high quality, highly adjustable, fully featured, and up-to-date products in order to provide you with the best grow technology at the best value possible. Yielding large, quality grows does not necessarily mean a higher price tag. We are dedicated to supplying hydroponic products that are affordable and backed by exceptional service. By cultivating strong and positive relationships with our customers, it is Purple Reign’s commitment to be the grow light company that you will want to do business with again and again.